Our visit to Eureka Springs began with a stay in the treetops, but we saved our last night for a different experience. The opportunity to stay at the Grand Central Hotel was not to be passed up. Located in the downtown Historic District, it offered a chance to be within walking distance of tons of shops and restaurants. 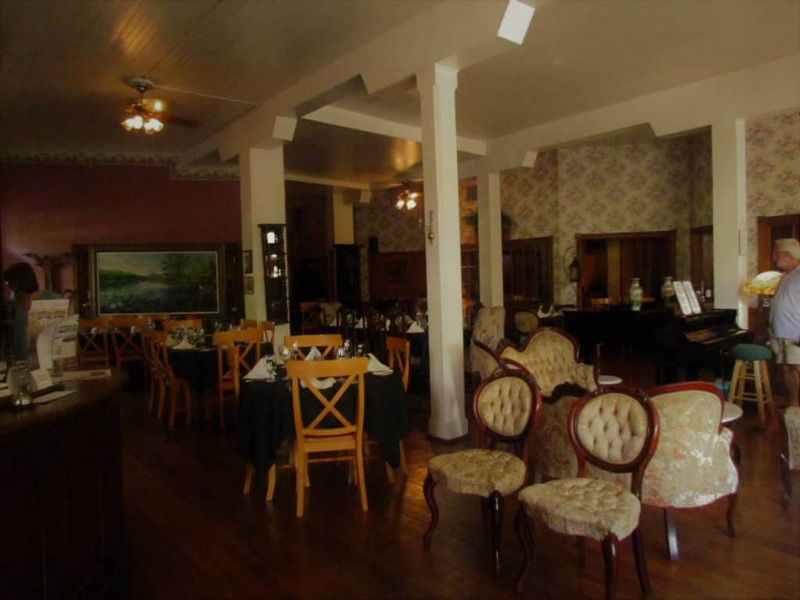 The hotel is the oldest in Eureka Springs, and is bathed in Victorian charm. We want to thank the Grand Central Hotel for their hospitality. Rest assured that all opinions are our own. We arrived and met up with Dustin Duling, the manager. He explained some of the background on the hotel, which was originally built in 1880. Unfortunately, the original Grand Central Hotel was destroyed by fire. It was rebuilt as a fire retardant structure (The first of its kind in Eureka Springs) that is bigger and grander than the original. Water was piped downhill to supply the hotel, which was another first for the town. What we noticed is all of the nice woodwork, and the period work that is so prevalent throughout the building. 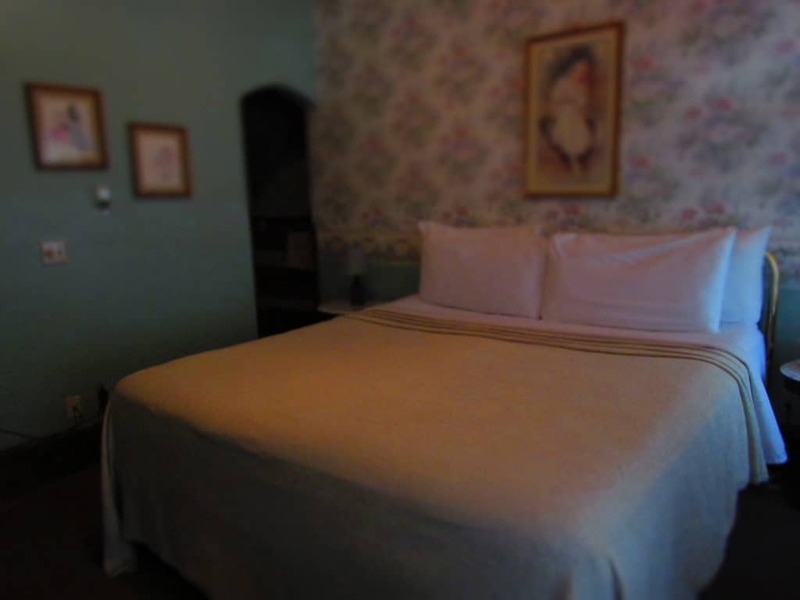 The rooms at the Grand Central Hotel were created with comfort in mind. During the days of its start, many travelers were visiting Eureka Springs for the healing waters that flowed throughout the area. The Grand Central Hotel was designed to be the premium lodging for the region. The mid-1900’s brought hard times to the area, but the hotel survived the demolition that overtook so many other early structures. 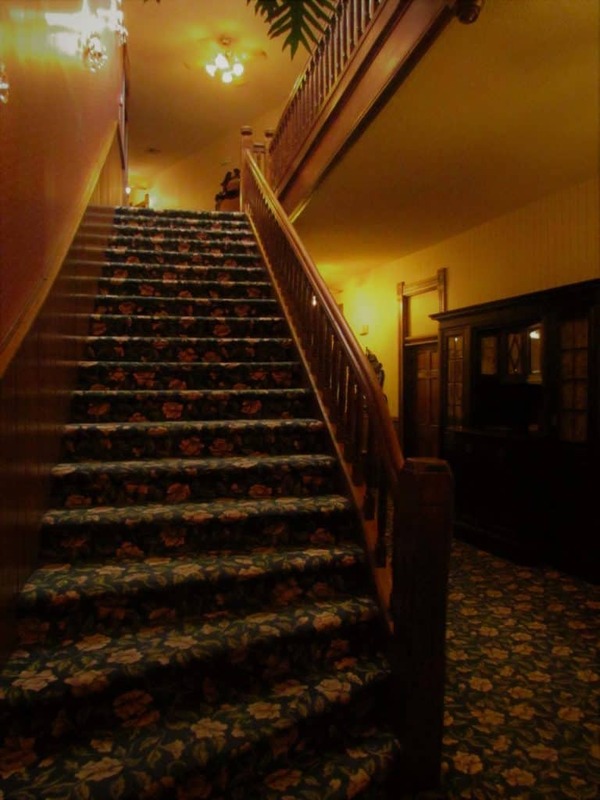 In the 1980’s a complete renovation was completed on the two upper floors, and it was returned to its duties as the premier lodging destination for the city. Our room was quite spacious, and would be considered a suite at most hotels. The first room we entered was a living room and kitchenette combination. One side had a couch and chair set, which was served by the television set. Along the opposite wall, the kitchen area was large enough to create a meal or just prep a lunch basket for a day of exploring. The next room was the bedroom, which held the bed, as well as an antique dresser. Windows offered a view of the second floor balcony, which could serve as a nice distraction, if we weren’t already scheduled for other activities. The bathroom was huge, and split into segments. The lavatory is situated in a spacious area that also includes a sink and mirror. 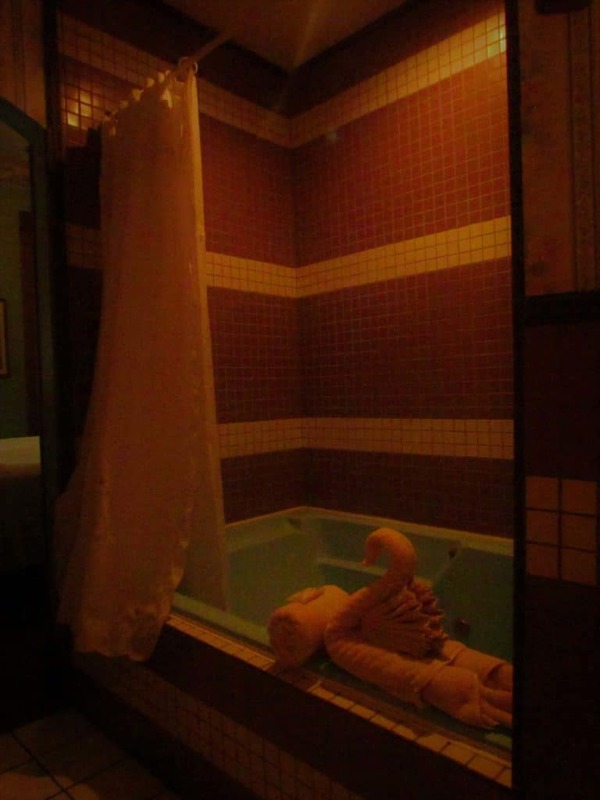 Between this area and the bedroom is an over-sized Roman tub that doubles as the shower. It seemed that our room went on and on. After settling in to our room, we returned to the main floor. Our plan was to dine at the in-house restaurant, which was one of the most suggested by our readers. Some light guitar music filled the lobby, and created an inviting atmosphere. We had a short discussion with the musician, who asked our home location. 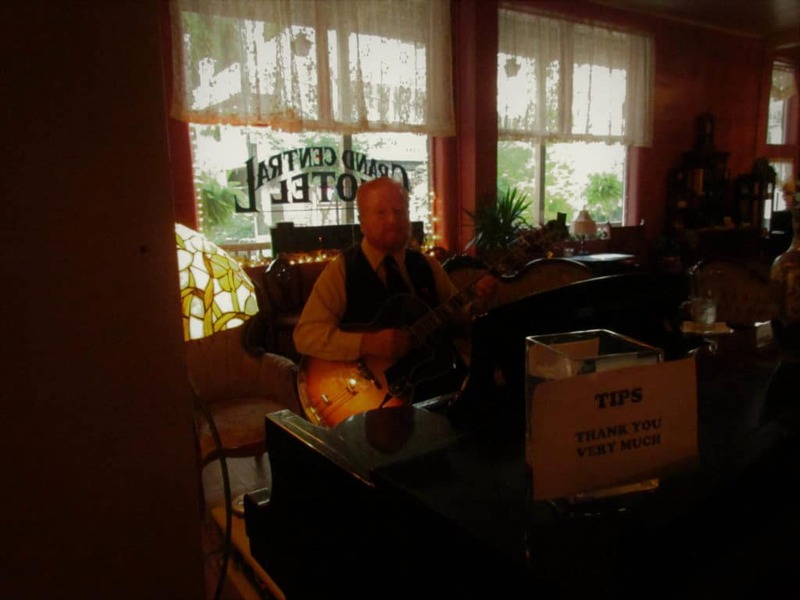 A tip earned us a musical choice, which we left up to him. His selection was “Somewhere Over The Rainbow”, which brought a smile to our faces. Our schedule of early dinners almost always ensures that we have our choice of seating locations. The dining area covers the main lobby, as well as some smaller rooms that offer more intimate seating arrangements. We chose one of these, which was just past the bar area. After placing our regular drink order, waters all around, I slipped away to get a couple of pictures of the kitchen. The on-site restaurant is known throughout the area as a top choice for a fine dining experience. 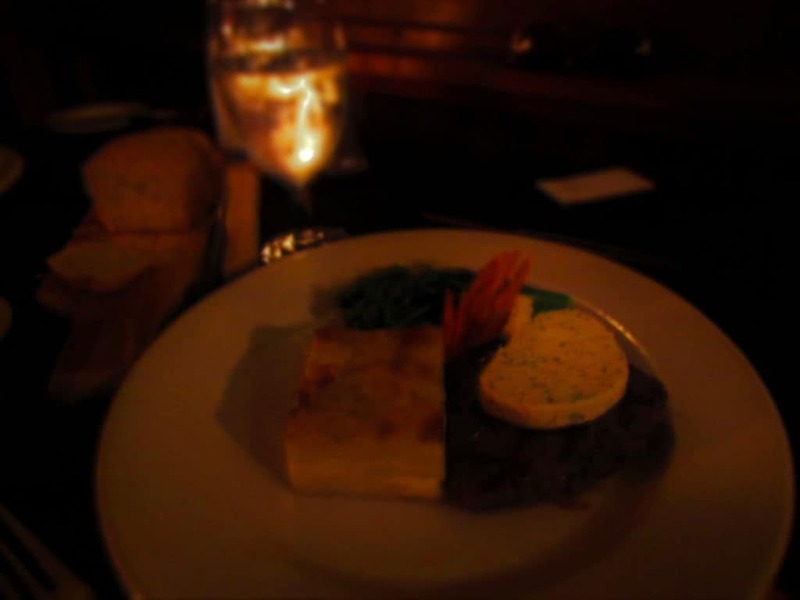 Chef Jeff Clements works his culinary magic, as he creates American dishes with a French flair. 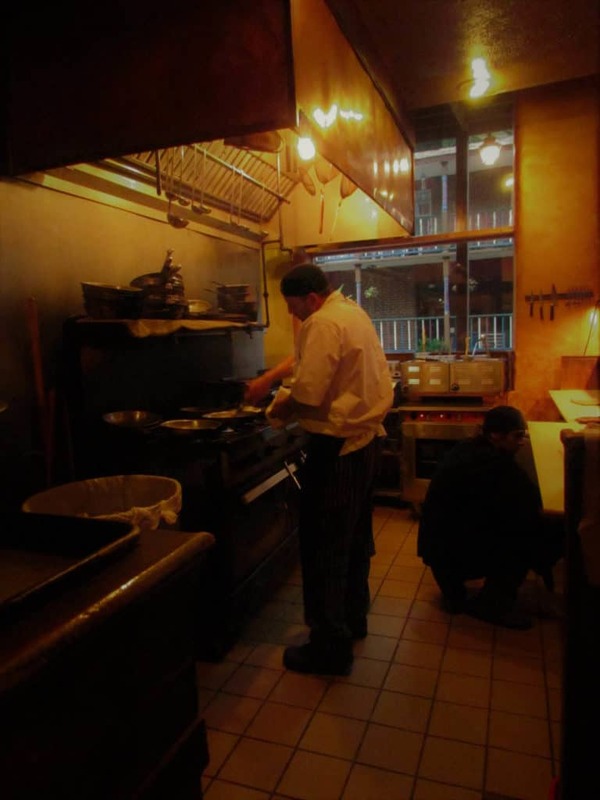 The restaurant specializes in using the freshest ingredients, which are sourced locally when possible. I watched for a few minutes, as he moved purposefully from pan to pan. I didn’t dare disrupt his rhythm, since as I made my way to the kitchen area, I had discovered the place wasn’t as empty as I had believed. After snapping a few shots, I returned to our table. A loaf of the fresh sourdough bread had already arrived, and I sampled a slice with some butter. It was light and delicious. Soon our meals were delivered (We both ordered steaks), and we set about enjoying our dinner. We discussed the hotel, and the restaurant, as well as our evening plans. The steaks were tender and flavorful, as would be expected from a restaurant of this caliber. The Au Gratin potatoes were amazing, and some of the best I have eaten. The meal was as refined as the hotel itself, and our stay was historic. 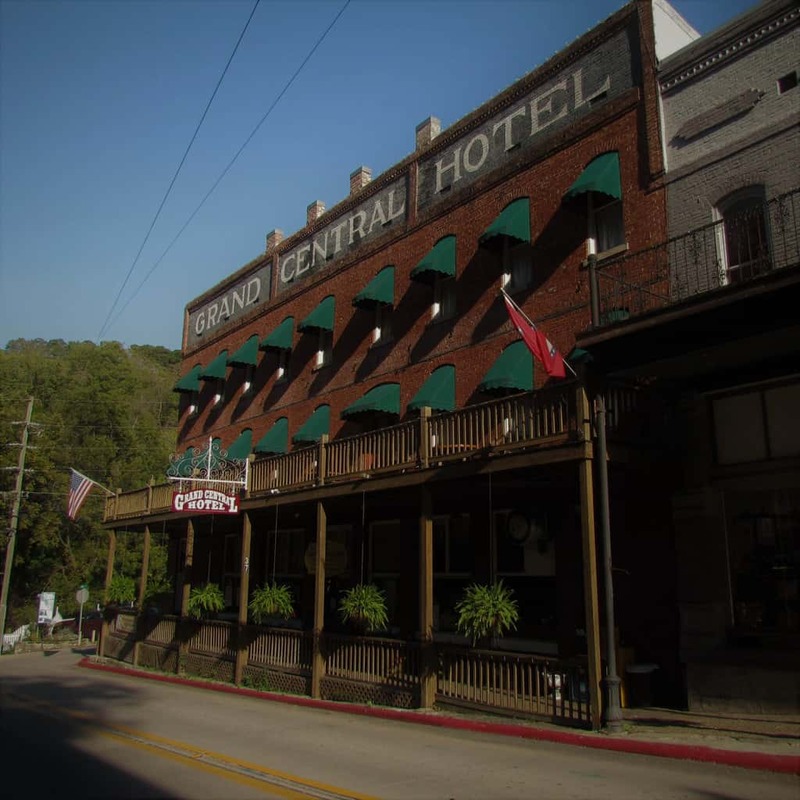 While much of the stops in Eureka Springs tout their other worldly activities, the Grand Central Hotel focuses on the positive and relaxed atmosphere that have brought visitors since the earliest days of the city. We are glad we had the opportunity to experience this for ourselves. Have any of you stayed at the Grand Central Hotel? Tell us a little about your experience.